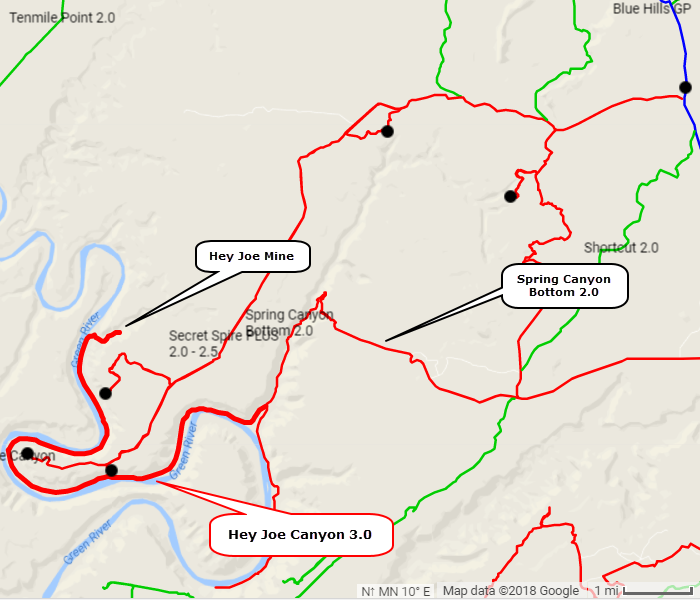 ​Drive 8 miles along Green River then a half mile up Hey Joe Canyon to an old mine. 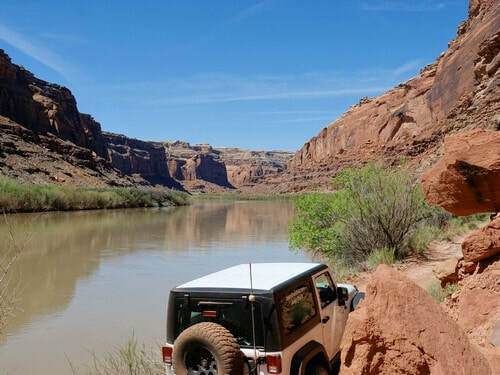 This trail follows Green River for over 8 miles, but the river is visible only a small part of the way. 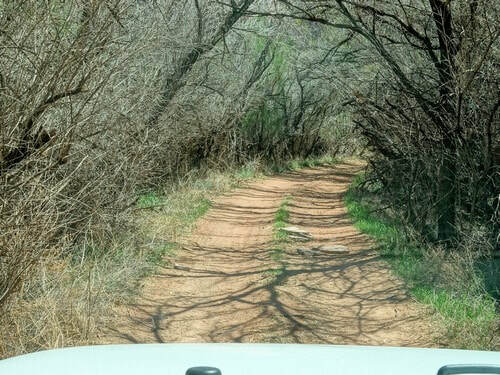 There is vegetation between the road and the river except for small stretches. The road surface is frequently fine river silt that would be sticky and very dangerous after a rain. Hey Joe Canyon Trail starts off Spring Canyon Bottom 2.0 so you will need to download that trail to have a track to the beginning of this one. 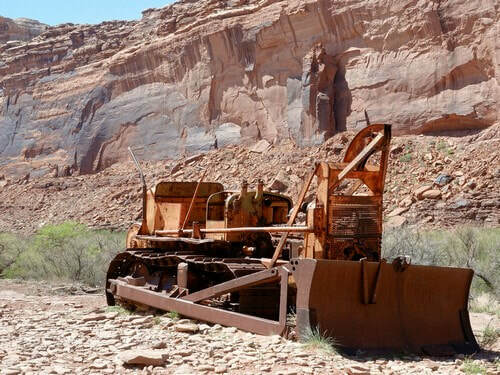 Soon after leaving Spring Canyon Bottom you are welcomed by a relic from previous mining days. ​Very little of the run is as overgrown as this photo. Mostly it was simply removed from the shore making the river unseen. 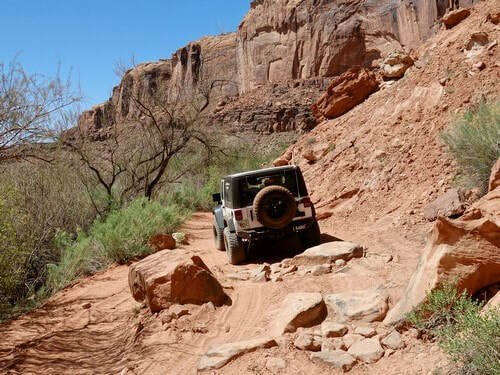 There were a few scratchy areas when we did the trail, but the worst had been cleared for Easter Jeep Safari. It is probably worse after the summer growing season. 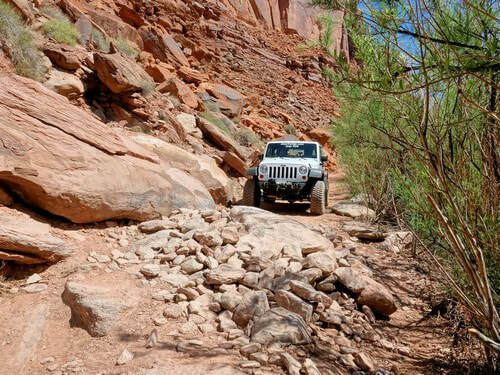 Most obstacles are in the first couple miles. A few are serious enough that we gave the trail a weak 3.0 rating. 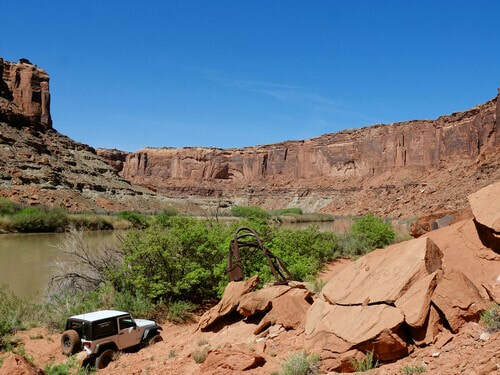 We watched both a stock Wrangler and a lower side-by-side bottom out on this pile of rocks. Both needed to be winched. 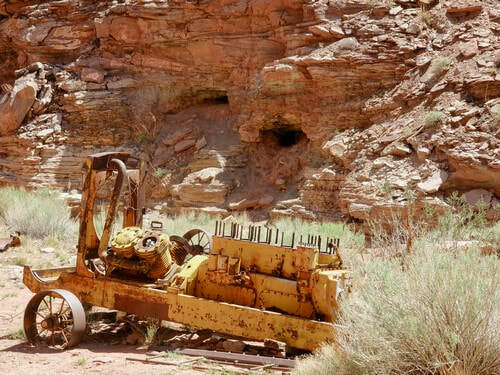 A small amount of equipment remains at Hey Joe Mine. We were told the mine entrances had been blasted shut a couple year before we visited in 2018.